This breed of dogs was developed in France they known as a gun dog and a good performer at their task. 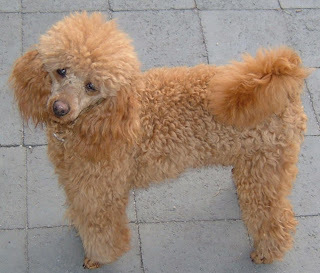 This breed is also known as a closer relative to the Barbet and the Hungarian Water Hound. Now a days this breed is mostly used for a show dog in circus or in social events. This breed of dog are proud and dignified. They are energetic athletic and alert. The most beautiful thing in them which make them different with other breeds are their drop ears and webbed Paws. They are loyal to their master and are demanding. If this breed of dogs are left alone for some period they will be aggressive and will not do well, they are good with older children and they have proven themselves to be good house dogs and do well with other household pets and small animals. They can be a good watch dog and are wary of strangers they can alert their masters by barking. It is mandatory to give them baths on a regular basis. They have a single coat and need clipping after six weeks they have four different clip styles Show, Puppy, Continental, and English Saddle. It is important to clean their ear and trim the nails regularly. It is important to make them socialize early and training should be given to them when they are young, they will not respond to harsh and tough methods of training, training should be given to this breed dentally and politely. Proper dental hygiene is a must for this breed of dogs to avoid dental diseases. Toy Poodle's are prone to ear infections, slipped stifle, eye problems, digestive and heart disorders, and skin conditions.